Jonathan Flores is sworn in as the Alton police chief. The city of Alton formally welcomed a new police chief Tuesday, four months after the termination of their previous chief. 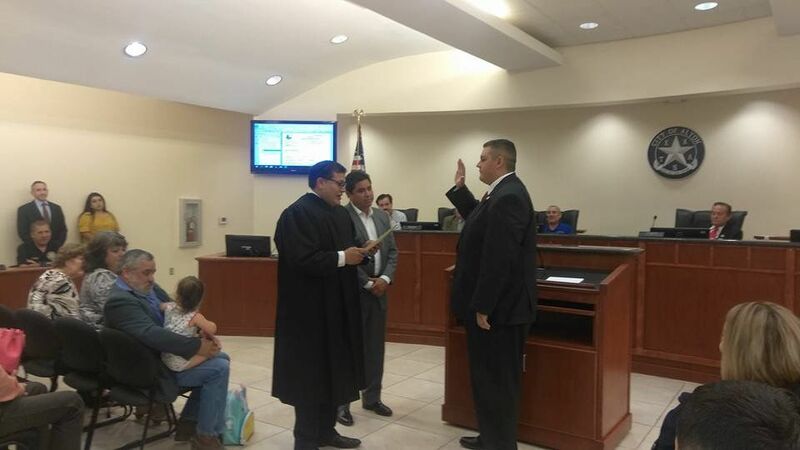 Jonathan Flores, 36, was sworn in as the new chief following a three-month search. The Pharr native has over 17 years of law enforcement experience, starting with the McAllen police department as a dispatcher in 2001. 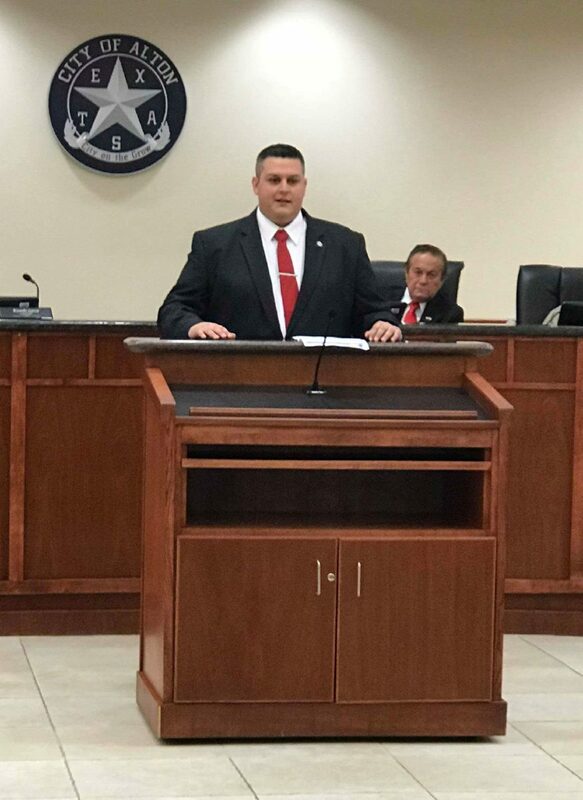 In 2005, he left the McAllen PD to attend the Lower Rio Grande Valley Development Council’s Regional Police Academy and then joined the San Juan Police Department upon graduation. He was at San Juan for two-and-a-half years before going to the McAllen school district police department where he served for about another two-and-a-half years. He then worked for the Hidalgo County sheriff’s office for seven years, the last two being in the major crimes unit. Flores was among 32 applicants for the job, said City Manager Jorge Arcaute who added that he conducted a total of 11 interviews. Arcaute said he initially envisioned someone older for the role but Flores impressed him. Arcaute said he was particularly impressed that Flores walked in with a strategic plan and had ideas on how to improve the department. Flores, who officially began on March 19, replaces former Chief Enrique Sotelo who was terminated in November amid sexual harassment allegations. Captain Joe Perez was tasked with leading the department after Sotelo’s departure and the city began actively searching for a replacement shortly after the Christmas holiday. Flores said he’s big on community-oriented policing, hoping to be visible to the residents and vigilant.